For successful experiments, insist that your pipette tips are completely inert and won't interfere with your results. "Contamination-free" isn't enough. To assure your tips free of any bioactive components – make sure they're BioClean Pipette Tips. From raw material selection, clean production to automated packaging, Rainin BioClean Pipette Tips are guaranteed to be pure and completely safe. 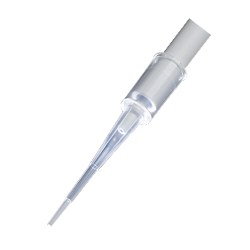 Rainin BioClean Pipette Tips are manufactured in a fully automated, class 100,000 clean room facility. To assure absolute purity, no additives or dyes are used, and ISO 9001-compliant manufacturing procedures to eliminate all external sources of contamination. BioClean Pipette Tips are rigorously tested using the most sophisticated procedures available. Each lot is carefully evaluated to assure that even the smallest amount of DNA, DNase, ATP, Pyrogens, PCR inhibitors, trace materials, trace organics are detected. Many labs are concerned with reducing environmental impact. Rainin has long been a pioneer in addressing these concerns through innovative package design for tip-rack refilling to reduce plastic waste at the source. TerraRack is revolutionary new concept in pipette tip racks – 50% lighter than conventional racks, yet considerably strong and completely recyclable. 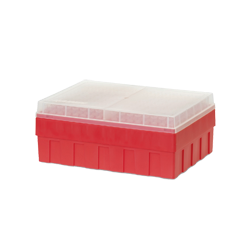 SpaceSaver™ is an economical and environmentally sensible way to manage your pipette tip inventory. 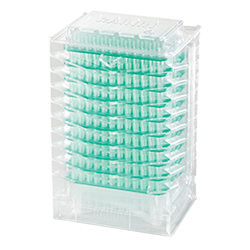 Refills come nested in a compact, easy to use sleeve that is made from recycled PETE – the same plastic used in water bottles. Rainin pipette tips fit most pipette brands, including a pipette tip for Rainin, Gilson, Eppendorf, Sartorius (BioHit), Thermo (Finn), and VWR pipettes. Made from 100% virgin polypropylene in a fully automated, Class 100,000 clean room facility, Rainin tips provide excellent clarity and flexibility for accurate touch-off. To assure absolute purity, no additives or dyes are used, and we follow ISO 9001-compliant manufacturing procedures to eliminate all external sources of contamination. "Our research involves growing bone marrow cells onto different materials. Rainin BioClean™ Filter Pipette Tips, which contain hydrophobic filters, are ideal for our purposes." "We focus on adenomatous polyposis coli (APC), a multi-functional protein with a role in a variety of basic cellular processes. 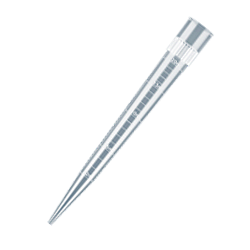 We use Rainin BioClean™ Pipette Tips to ensure the precision of our experiments and to avoid contamination of highly sensitive PCR experiments and tissue cultures." "We use LTS tips in our specialist diagnostic testing of cerebrospinal fluid. They are well made and not too rigid, and the design of the pipettes allows them to be picked up without using a lot of force." To receive the industry-leading BioClean Ultra purity certification, Rainin pipette tips are subjected to systematic testing for RNase, DNA, DNase, ATP, Pyrogens, PCR inhibitors, trace materials and trace organics. Rainin also tests for both protein and protease to fuel confidence in proteomics research. And every tip is also inert, with no bioactive components. BioClean Ultra pipette tips are manufactured in a fully automated class 100,000 clean room facility. To assure absolute purity, no additives or dyes are used, and ISO 9001-compliant manufacturing procedures are followed to eliminate all external sources of contamination. From raw material selection to clean production and automated packaging, Rainin BioClean Ultra pipette tips are guaranteed to be pure and completely safe. For successful experiments, insist on pipette tips that won't interfere with your results. Make sure they're BioClean Ultra. ● UNV: Universal-fit pipettes, by Rainin and other manufacturers. Unique to Rainin, the LiteTouch System connects a specially shaped nozzle to a perfectly matched LTS tip to deliver the industry's lowest tip mounting and ejection forces. The result: fewer repetitive stress injuries and more comfort while pipetting. 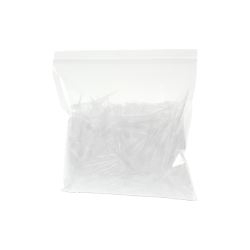 Rainin pipette tips are available in a variety of packaging formats to suit your lab's needs. 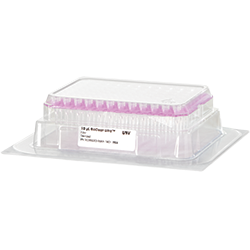 Refillable racks allow optimal tip loading for single- and multi-channel pipettes. Autoclavable. The ultimate in convenience – easy to use, saves space and reduces plastic waste by 85%. Single-rack refills reduce plastic waste by 75% compared to individual racks. Less weight, less waste and 100% recyclable. Single-use, disposable racks. Sterile. 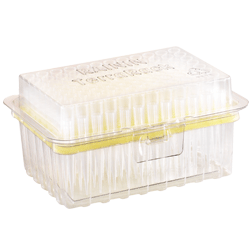 Buying in bulk is the most economical way to get BioClean quality tips. Equivalent to 10 96-tip racks reducing plastic waste by 60%. Double 96-tip rack reduces plastic waste by 35%, compared to two individual conventional racks. Pipetting viscous or volatile liquids, repeat dispensing, transferring aggressive liquids safely or serological pipetting – these are tasks that are best served by our specialized pipettes and tips. Rainin offers a broad range of ultra-high quality pipette tips specifically designed for your unique applications. Nothing beats Rainin Low Retention tips for viscous liquids and those with reduced surface tension. 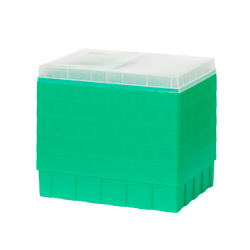 Rainin Large Volume (10 mL – 20 mL) tips bring efficiency to your labs macro-volume. Ideal for depositing and retrieving samples from deep, narrow vessels. Minimizes shear force on delicate samples and flow resistance for viscous samples. 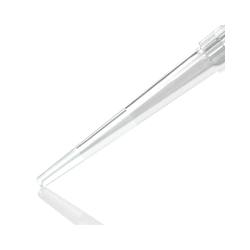 Protect pipette shafts and tip ejectors from cross-contamination. Rainin Gel-Well tips allow samples to be accurately dispensed into the wells of thin polyacrylamide gels. Hydrophobic filters to prevent cross contamination from aerosols and liquids. PureSpeed is a convenient, low-cost method of purifying biomolecules. Rainin PureSpeed™ Protein Tips radically simplify purification of antibodies and recombinant proteins. This innovative approach produces the highest concentration of purified protein, allowing many options for downstream functional assays. PureSpeed Protein Tips offer a faster, more convenient and reliable purification workflow for obtaining highly concentrated and pure functional proteins. The result: higher productivity, less waste and reduced risk. 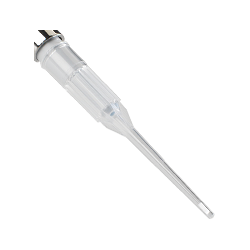 PureSpeed Protein Pipette Tips offer a faster, more convenient and reliable purification workflow for obtaining highly concentrated and pure functional proteins. The result: higher productivity, less waste and reduced risk. 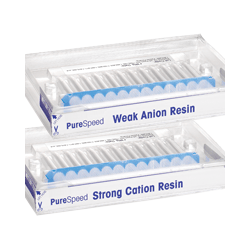 PureSpeed Affinity Resin Tips radically simplify the purification of native and recombinant proteins. PureSpeed Ion Exchange Tips speed purification and simplify production of high-quality, highly-concentrated protein and biomolecule samples. Greater desalting capacity and less ergonomic strain make PureSpeed C18 Desalting Tips superior to other technologies. Maximize the efficiency and effectiveness of your PureSpeed system with our complete range of accessories. No additional concentration steps needed. Purify samples in as little as 15 minutes. Process up to 12 samples in parallel. PureSpeed purifies samples in under 10 minutes. Biomolecule purification uses beyond affinity. PureSpeed can purify 8 or 12 samples at once. PureSpeed C18, highest peptide capacity, >10 μg. Minimal loss, higher mass spec sequence coverage. Excellent semi-automated solution with E4XLS. Looking for product brochures, data sheets, operating instructions or white papers? Visit our documentation center for a detailed and comprehensive overview and access to all available documentation on Rainin products. The stringent test specifications combined with the design of the testing procedures collectively ensure the absolute purity of Rainin’s pipette tips. This means there is essentially zero possibility for any Rainin tip to contribute a contaminant to the customer sample. 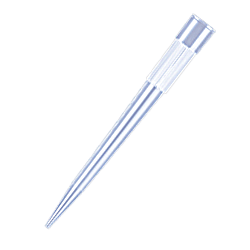 Rainin's FinePoint aerosol-resistant tips incorporate individual hydrophobic filters to protect samples and pipetting instruments from contamination that can occur due to aerosol transfer. Use of these tips is especially important in critical DNA amplification and microbiological procedures where minute trace carry over can invalidate experimental results. By virtually eliminating friction, the Rainin LiteTouch System dramatically reduces the amount of force required to load and eject tips. Learn more. For detailed information on Rainin pipettes, tips, specialty products and service offering. Order a free catalog or download a copy online. It features background information on pipetting mechanics, manufacturing and selection. 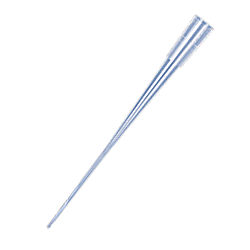 What are pipette tips?What is BioClean and pipette tip sterility? 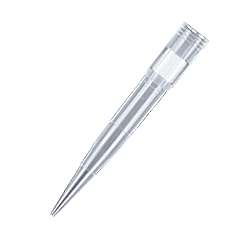 Pipette tips fit on the end of a pipette, creating an air-tight seal. 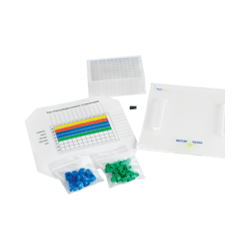 Commonly made from polypropylene, they are made for one-time use and are available in a variety of formats and volumes to fit specific applications and pipettes. Because they come in direct contact with the sample of interest, pipette tips can have a significant effect on the results of an experiment. Discarding the tips between each experimental step helps prevent cross-contamination. What is BioClean and pipette tip sterility?? BioClean refers to the exceptionally high standard to which all Rainin air-displacement tips are tested and found to be free of detectable amounts of specific biological contaminants, such as DNA (human and bacterial), RNase, DNase, endotoxin, protein, protease, ATP and PCR inhibitors. Sterility refers to the absence of bacteria or any living microorganisms or spore, but without an additional qualifier (such as BioClean) can still contain contaminants that can have an influence on the outcome of an experiment. Reaction conditions and experimental results can be compromised by organic and non-organic contaminants unknowingly introduced to liquid samples by non-certified pipette tips. Contaminants can inflict adverse, unpredictable effects on enzyme activity and longevity, molecular interaction, spectrophotometric and chromatographic analysis, and more.